Dr. Carolyn Clancy has made it her career-long mission to improve the quality, safety and value of programs within the Department of Veterans Affairs. 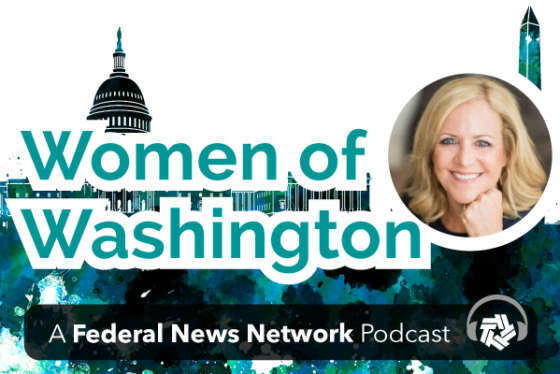 On this week’s episode of Women of Washington, host Gigi Schumm welcomed Clancy, who currently serves as deputy undersecretary for health at the Veterans Health Administration. 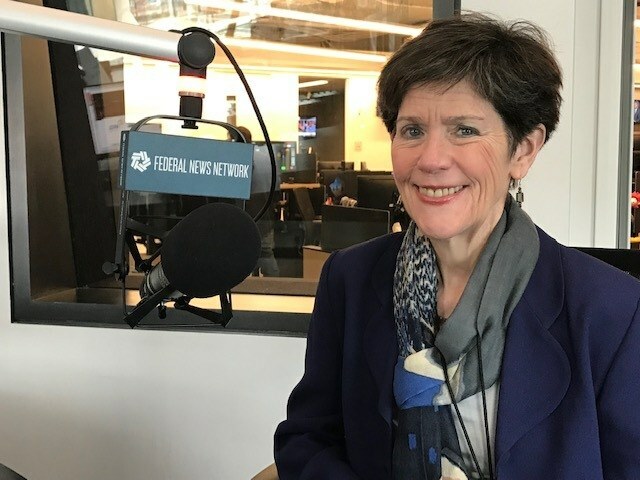 From academia to the federal workforce, Clancy has spent much of her career focused on both educating healthcare professionals and researching better ways to provide that care to the veteran community, including through telehealth initiatives. Her team has already left a huge footprint when it comes to the nation’s health workforce. Each year, the VA supports the training of at least one-third of those studying to become future doctors, she said. They also provide support to academic affiliates, including hosting medical residents at their facilities. Clancy said she knew from the age of nine that she would pursue a medical career, and studied math and chemistry while in college. But it was one of her Boston College professors that encouraged her to pursue the academic side. The ability to help people is what originally attracted Clancy to the medical field, plus she was already a fan of science. She said she enjoyed hearing others’ stories and helping to figure out what solution best made the most sense for the patient. After completing medical school and a fellowship at the University of Pennsylvania, she began working at Virginia Commonwealth University (VCU) in their medical college. She was on the VCU faculty for six years before moving on. Clancy wasn’t the only woman on the faculty, but she was the first to relocate for the job. She said her career in medical academics, and to some extent at VA, was focused on three key areas: Clinical care, teaching and research. Her transition from a professor to a federal employee was a somewhat smooth one. She said she became interested in figuring out a better way to help those who didn’t have insurance, or direct access to health care — and the VA’s dedication to their mission was what initially attracted her. Clancy first joined the Agency for Healthcare Research and Quality, which was at the time a new agency under the Department of Health and Human Services. She joined its ranks to help the government figure out how to get the best return on investment by improving access, quality and safety to the American public. She took on the responsibility of making sure the information the agency produced was usable by clinicians, veterans hospitals, outpatient care and so forth. Now at VHA, she oversees a robust research program focusing on diseases that are important and sometimes unique to veterans. Three groundbreaking initiatives the VA spurred, according to Clancy, were the creation of the nicotine patch, completing the first-ever liver transplant and medical barcoding — including the requirement for patients to wear wristbands detailing their medical information to ensure VA patients were given the correct medicine. Both of her parents held careers in a STEM field, and she said her mother was very encouraging. “If there’s one message I got from my mother, it was ‘why not?’ So when I told her I wanted to be a doctor when I was nine, she was thrilled with that,” Clancy said. More girls and women need to take on the same mindset, she said. And she often wishes she would have had more courage to pursue her ideas when she was younger. Because when you have a passion and you pursue it, life is more fun and easier to deal with. “Stick with what you love and it’ll all work out,” she said.